Our shoulder, the most mobile joint in the body, allows us to freely move our arms. Since we consistently use our arms and hands throughout the week, shoulder blade pain can often be debilitating. The shoulder can be injured by disease, sports, physical labor, or even overuse. If you are experiencing shoulder blade pain, come to FastMed Urgent Care. Our urgent care clinics in North Carolina and Arizona are a convenient and affordable alternative to the ER for non-life-threatening injuries. Some of our Arizona locations even have sports medicine clinics where you can treated for sports-related shoulder injuries. In order to determine the cause of your shoulder pain, your physician will likely conduct a physical, feel for injury, and asses your range of motion. He or she may also order you to have a X-ray or MRI. 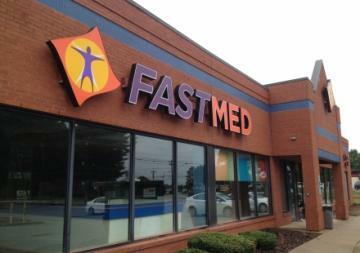 Being seen for your shoulder blade pain is quick and easy at FastMed. That’s because all FastMed locations are equipped with on-site labs and x-rays, so we can provide you a diagnosis as quickly as possible. You can also use FastMed’s ZipPass feature to check in early, possibly shortening your wait time. For all other non-life-threatening concerns, you have FastMed locations available to help.